Cufaba: That was a horrible thing to do! They looked really hungry! Tupetoto: Everyone does horrible things sometimes. So really, I was completely justified. Cufaba: That's a stupid way to live. 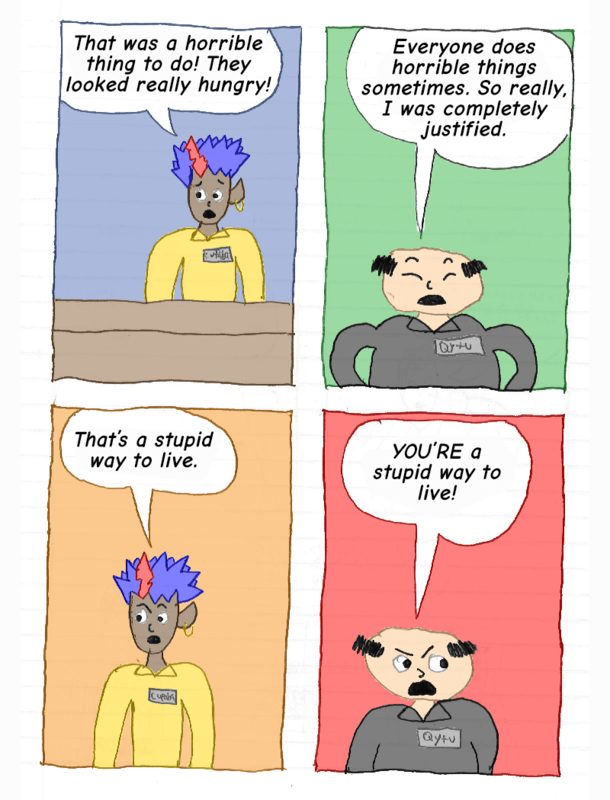 Tupetoto: YOU'RE a stupid way to live!